One of the key spectator stands at Lord’s Cricket Ground is currently under a two-stage development programme and during construction works, Bull Products is providing its Cygnus wireless fire alarm systems. 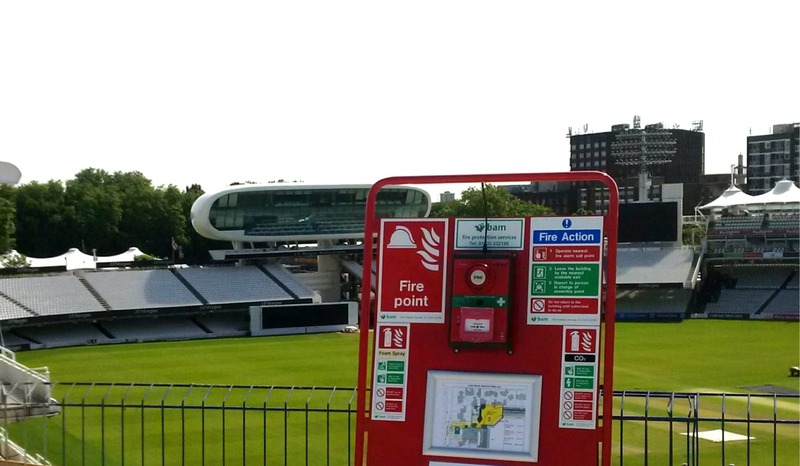 One of the key spectator stands at Lord’s Cricket Ground is currently under a two-stage development programme and during construction works, Bull Products is providing its Cygnus wireless fire alarm systems. The Warner Stand which was built in 1958, is being replaced with a new stand with seating for 2,656 spectators with improved sight lines to the pitch and at the same time incorporating a new restaurant, three bars and catering facilities. The sustainable design features ground source heat pumps, photovoltaic roof panels, rainwater harvesting and a semi-translucent fabric roof. Phase one of the Warner Stand project focused on the structure and seating of the stand before handing over in July 2016 ready for the second England v Pakistan Investec Test match. With the cricket season now over, the phase two work of creating bars, restaurant and other amenities has now started and is due for completion in April 2017. For both phases of this work, BAM Construction specified Bull Products to supply and install five Cygnus wireless fire and first aid alarm call points and 31 smoke detectors. Fire point stations are positioned throughout the site with alarms that are linked to a main control panel. This control panel is also linked to an additional sounder system which can be switched off on match days. 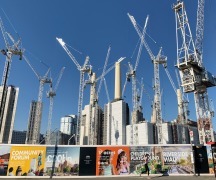 Although designed as a temporary alarm system for construction sites, the Cygnus wireless system can be used on other construction sites after use. 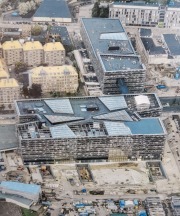 On the Warner Stand project, the flexibility of the system was underlined when it was able to be modified to link with alarms in the construction site offices. It was also modified to interface with the general alarm system at Lord’s. The Cygnus wireless fire alarm system is a major innovation for construction sites and has been designed and developed in conjunction with major construction companies to incorporate all the features required for larger construction projects. The Cygnus system is able to link no less than 480 units in 15 different zones. Individual units may be a fire alarm call point, first aid alert point, smoke detector, heat detector or a combined call point and first aid alert alarm. Where there are multiple sites within range of each other, the CE marked Cygnus system has been designed to operate on different site addresses in order to keep each system separate and free from interference. A major feature of the Cygnus system is the optional control panel which provides a very sophisticated capability with an event log function which records any events such as an alarm activation, low battery warning, and signal faults, all of which can be viewed if necessary in the history folder held on the panel. The system also has the ability to test all units and has an evacuate function which will act as a call point to the rest of the alarm units. Each unit in the system can provide the panel with information at regular intervals. This explicit information confirms the unit is still present and what the battery status of each device is. Known as the ‘heart beat’ this message is monitored by the control panel where fitted and if the ‘heart beat’ is not heard for several intervals, the control panel logs a full status for that unit. A PIR option is now available on any of the modules which can detect an intruder and alert off-site personnel for added safety protection. Bull Products offers a full one-year guarantee on all Cygnus devices and provides high levels of technical, on-site and after-sales service support in addition to its standard maintenance contracts. 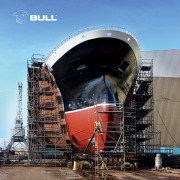 Bull Products, a manufacturer of life-saving fire protection equipment, has strengthened its presence in the ship building industry, after securing a partnership with a major Norwegian distributor. 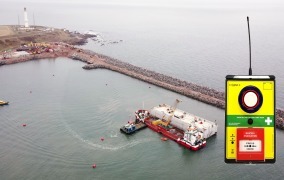 Bull Products, a manufacturer of life-saving fire protection equipment, is protecting seven of the largest ships across the world with its Cygnus Wireless Alarm System. Bull Products, a manufacturer of life-saving fire protection equipment, has received the largest order to date for its Cygnus Wireless Alarm System. Bull Products, a manufacturer of life-saving fire protection equipment, is expanding into the European market further, after securing a contract in Copenhagen. 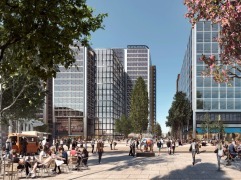 Bull Products’ Cygnus wireless alarm system is currently featuring at the heart of the £2.4billion development of the new International Quarter in London. 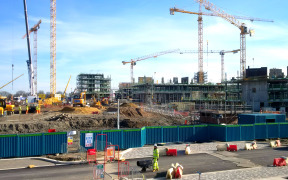 A network of Cygnus wireless fire alarm systems has been installed on a major construction site for the University of Cambridge. WHAT IS CROSSRAIL AND THE LINK WITH CYGNUS? 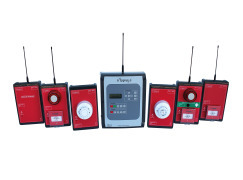 Discover the ultimate wireless fire alarm system - the most reliable and adaptable system on the market for temporary use on sites during construction. Download our brochure to view the full collection of products within the Cygnus Range. A complete directory of fire protection products to help construction companies keep their sites fire safety compliant.